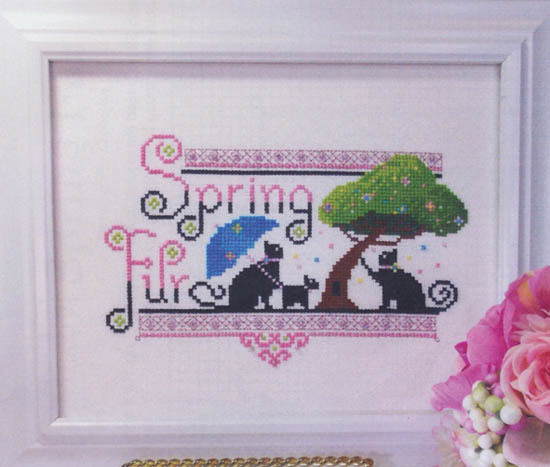 Cute seasonal design of three black cats in the rain. Under a tree and an umbrella. Spring Fur. Count: 101w x 67h. Model stitched on 28ct whtie Zweigart Evenweave.